This is a propaganda postcard marked 13 Marz 1938, Ein Volk Ein Reich Ein Fuhrer. This translates into One People One Reich One Fuhrer and displays the date of March 13, 1938 on the front. 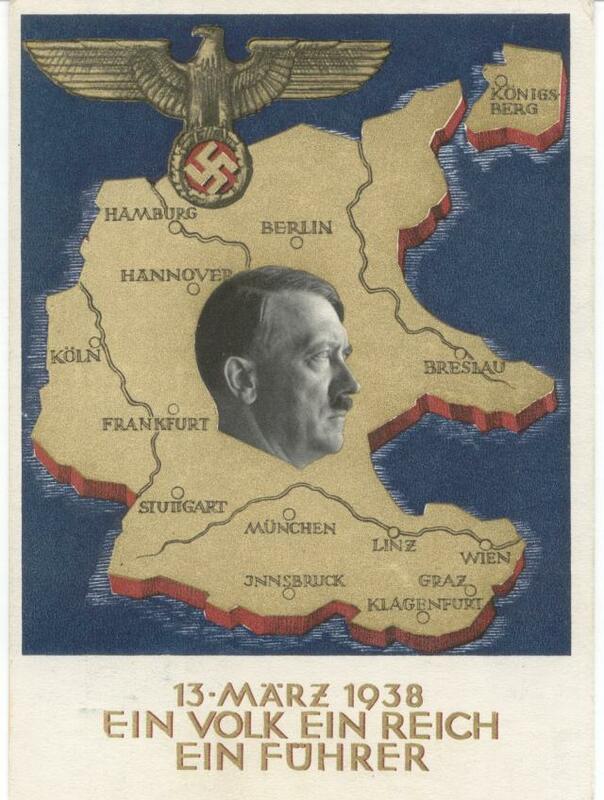 Adolph Hitler's profile is placed in the center of a Map of Germany. 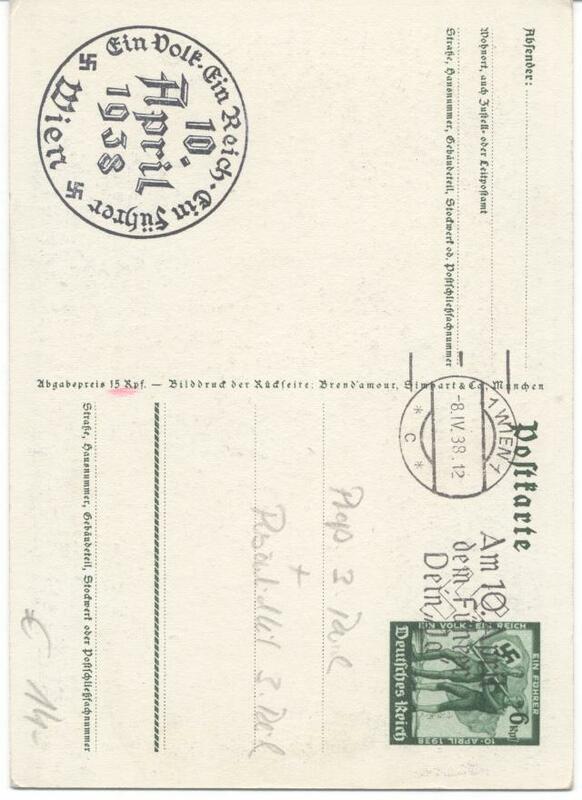 The reverse shows a large marking of April 10, 1938 Wien (Vienna). It also has a small cancellation marking at the top. This is a very nice postcard in great condition. The corners show minor wear. It contains some discription markings on the reverse (shown in scans) that were made by a previous dealer. As a whole, they do not detract from the overall appearance of the card. I will leave it up to you if you want to erase them.